When a homeowner has an issue with his washing machine, the first thing he does is type the problem into YouTube and look for a solution he can perform without calling a plumber. In fact, there are many DIY projects that save you money at home. When an individual wants to start saving for retirement, she doesn’t call up a financial advisor. She simply finds her favorite personal finance blog and gets tailored investment recommendations. We live in a DIY-obsessed culture, which is great in many respects, yet challenging for business owners and service providers that depend on customers to make a living. If you’re feeling squeezed out, it’s important that you don’t just sit back and watch. You need to be proactive. This DIY culture is a direct result of the internet. People have always been naturally curious and creative, but past generations didn’t have access to the same wealth of information and knowledge that we have today. In the past, if you wanted to fix your dishwasher or develop a personalized retirement plan, you could either visit the library, take a course, or do the easy thing and hire a professional to do it for you. Today, there are more options. The internet gives people endless information at their fingertips. Blogs, YouTube, Pinterest – online platforms and social media sites have taken the mystery out of challenging tasks. You can read, watch, ask questions, and share experiences with experts – as well as your peers. You can crowdsource knowledge until you get the answer you’re looking for. It’s free, convenient, empowering, and rewarding. While the ability to do something on your own is great in your personal life, it’s a little stickier when you run a business – particularly a service business where you perform a specific task. Whether you’re a plumber, landscaper, mechanic, handyman, carpenter, lawyer, financial advisor, or web designer, the DIY culture poses a threat to your profitability and longevity. And since this trend likely won’t disappear any time soon, it’s up to you to find a way to thrive within this new reality. The natural inclination for most businesses is to ignore the DIY aspect, but this is actually one of the bigger mistakes you can make. Your best bet is to acknowledge the customer’s desire to perform the task on their own and carefully, respectfully explain why this isn’t ideal. This page from Friedl Richardson, car accident lawyers in Phoenix, Arizona, is a good example. It goes into detail discussing self-representation and some of the risks and challenges that come with it. By educating customers on the challenges, they’re actually making a case for prospective clients to work with them. The DIY culture has progressed so far that, believe it or not, there are YouTube videos telling people how to fix their own cavities or pull their own teeth. While no sane person is going to do this, it just goes to show how far people are willing to go. The best way to ensure your customers aren’t resorting to DIY methods is to build personal relationships with them. The more business trust you can build, the more comfortable they are with spending money and using your services. 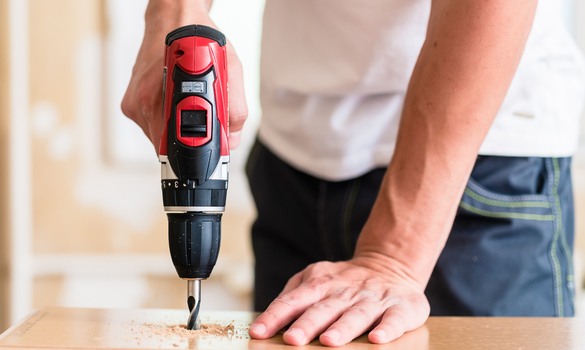 Cost is one of the big reasons customers choose to take on a DIY project. If they feel like they’re being asked to overpay for a service, they’re much more inclined to do it themselves. Your best bet is to be transparent with pricing and be prepared to justify your costs. People also like the community aspect of DIY projects. They like knowing they’ve played a role in making it happen. You can satiate some of this appetite by getting customers involved. This might look like hosting a contest, asking for user-generated content, or even having customers perform part of the task. By increasing engagement, you can get more customers online. While the DIY culture may look like a death sentence to your business, it doesn’t have to pose a threat to your bottom line. By understanding what makes DIY so appealing and how it fits into your industry, you can strategically approach customers and draw them into your business. It’ll take some creativity, but this isn’t something you want to ignore.